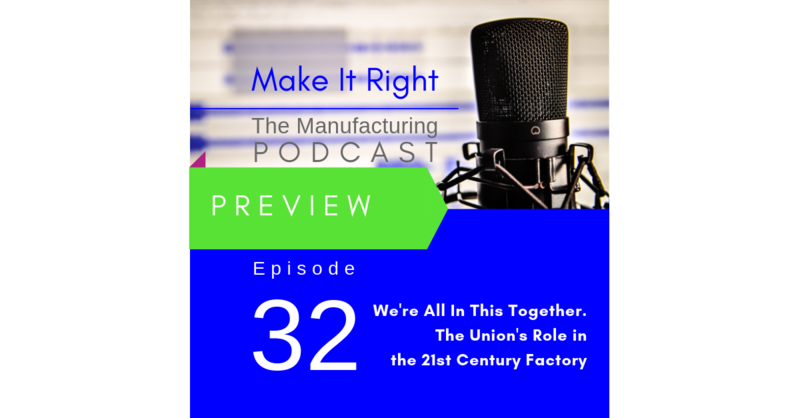 Coming up this week on the Make It Right podcast Janet Eastman continues her conversation with manufacturing consultant and plant manager Jan Beunder. They discuss how leadership and employees can push for engagement and change in union environments to improve total employee involvement and output. They also look the impact a younger workforce will have on changing the role of unions in factories. Full show coming Friday!